Sushi is probably my favourite food but it can be economically impractical and inconvenient to have to buy it out all of the time so sometimes I like to make my own. 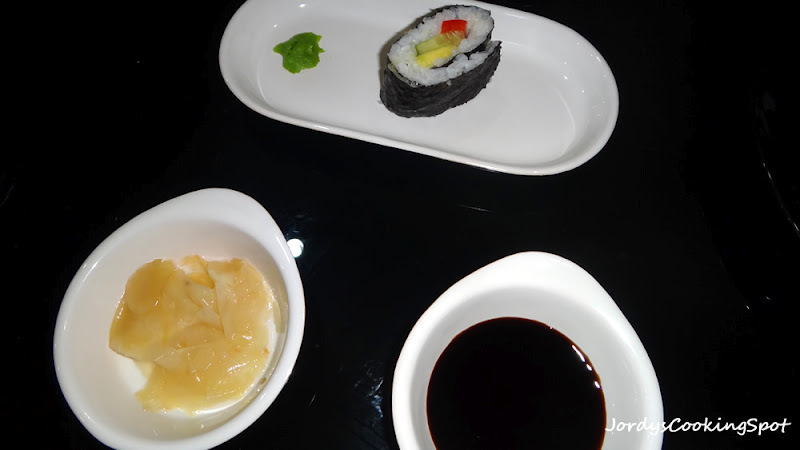 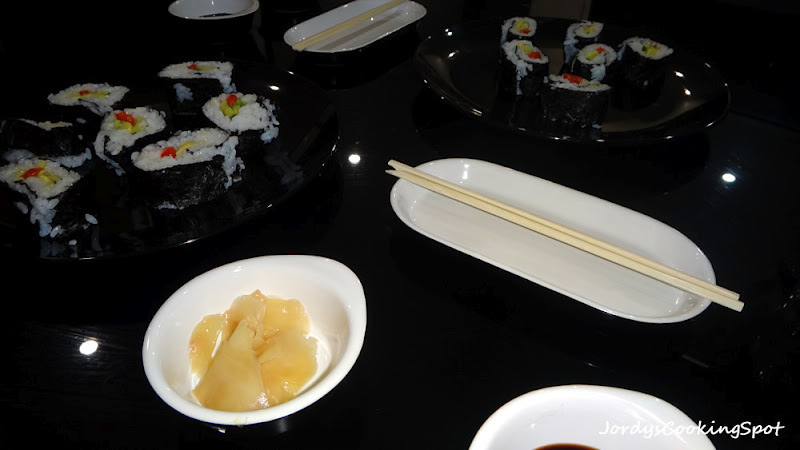 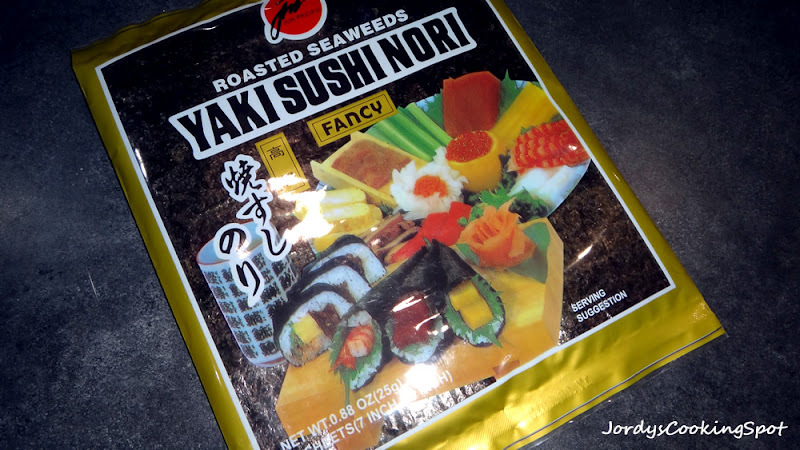 This is a recipe which will talk you through the ingredients required and steps necessary to take in order to achieve delicious and healthy homemade sushi. 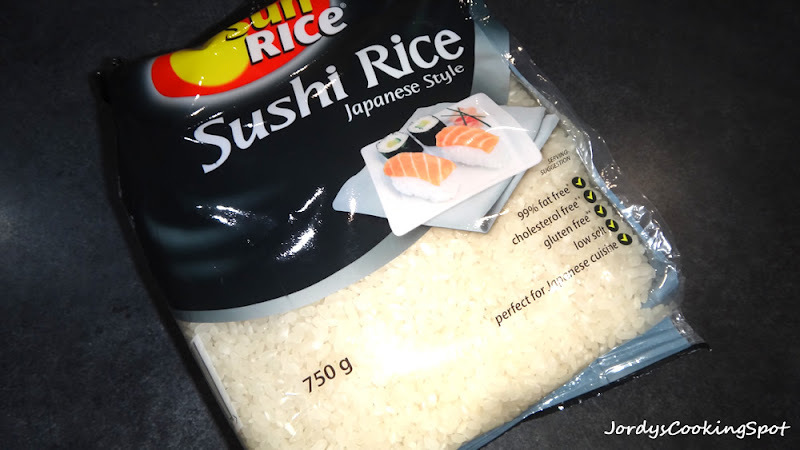 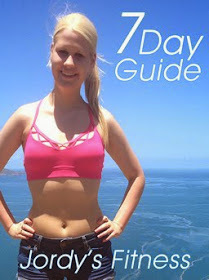 Step 1: Put your sushi rice in the microwave to cook for about 10-15 minutes. 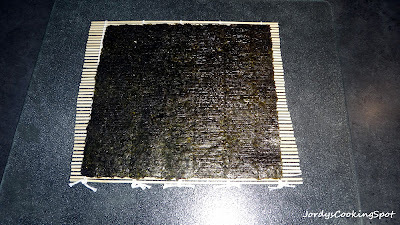 Step 2: While your waiting for your rice to cook, set up your rolling mat with a sheet of seaweed on it. 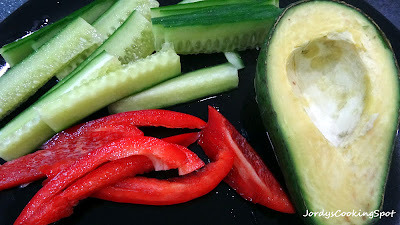 Step 3: Also while your waiting, cut up all of your fillings. 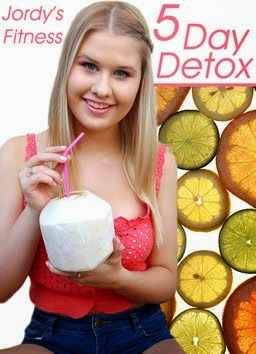 I like cucumber, capsicum and avocado. Step 4: Once your rice has finished, come back to your rolling mat with seaweed on it. 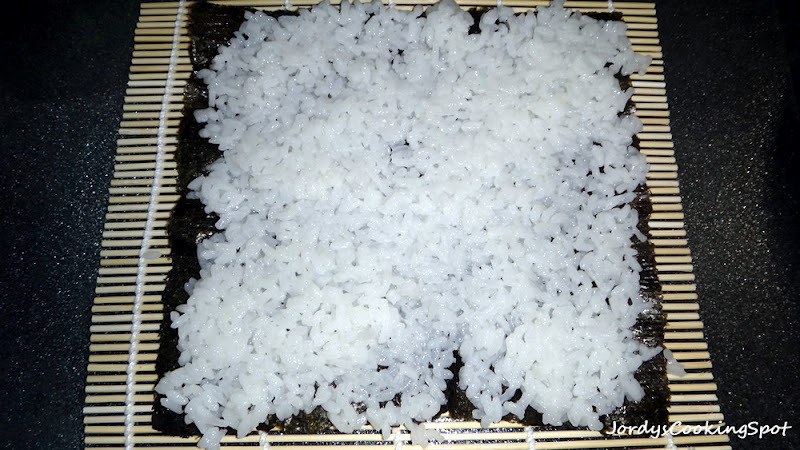 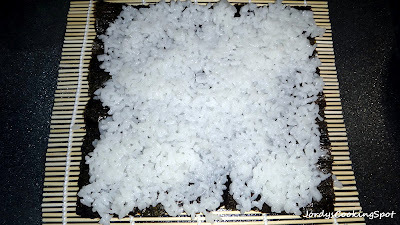 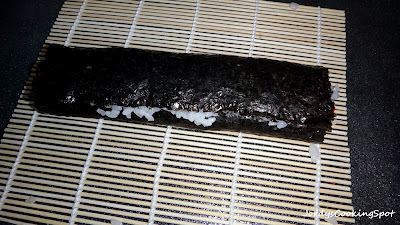 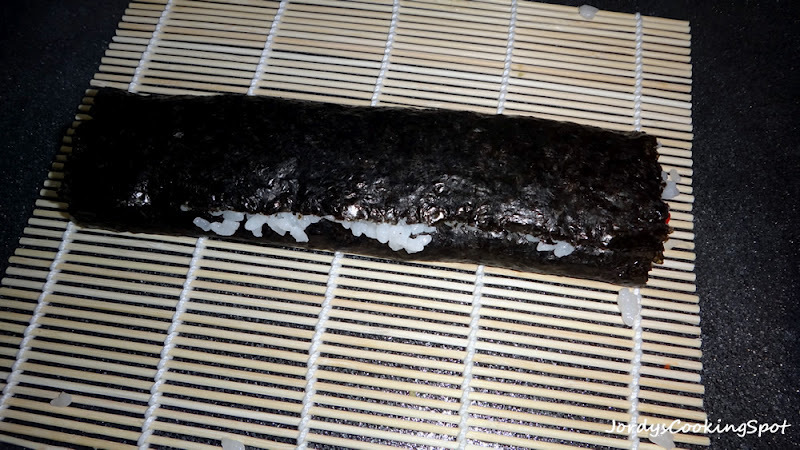 Step 5: Place a thin layer of rice on your seaweed sheet. 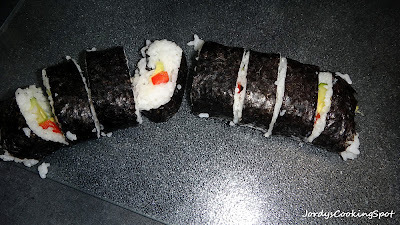 Step 6: Place small amounts of your fillings in the center of the sheet. 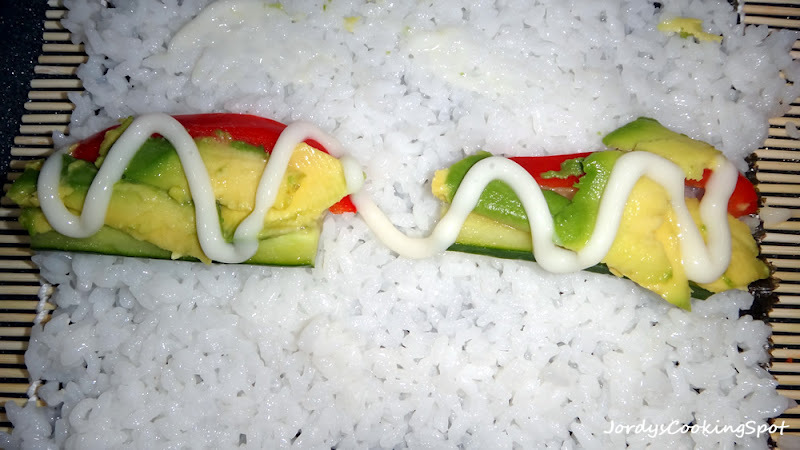 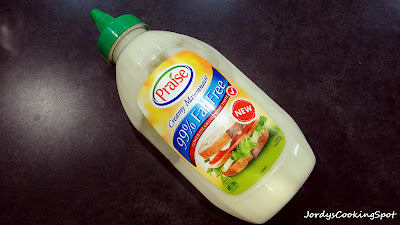 Step 7: Make sure to include mayonnaise because this helps stick everything together. 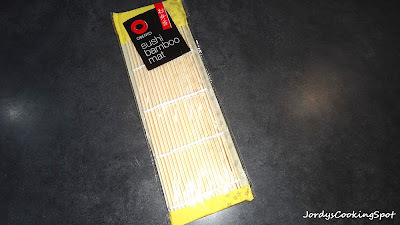 Step 8: With your rolling mat, roll up the sushi and ensure that the edges are sealed. 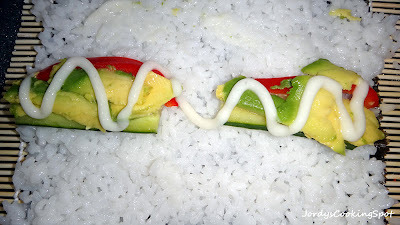 Step 9: Slice up the sushi into even sections. Step 10: Now it's time to set up the table with sushi sides, plates and cutlery. 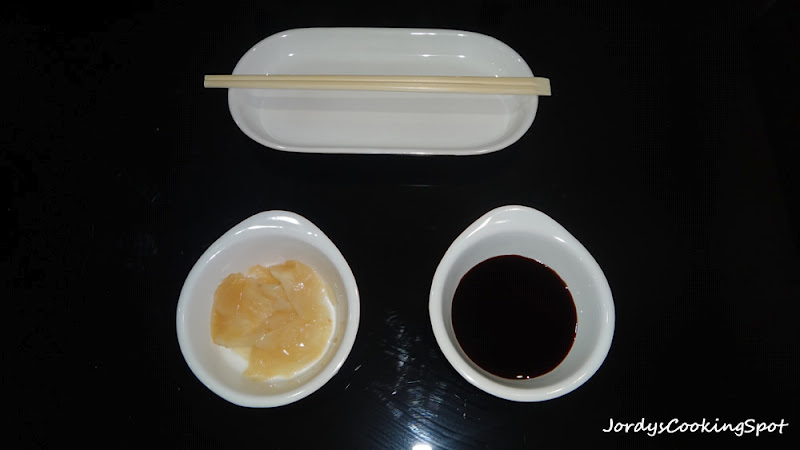 Have a little bowl for ginger and another one for soy sauce. 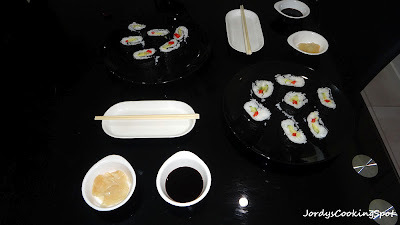 I also like to include a little serving plate. 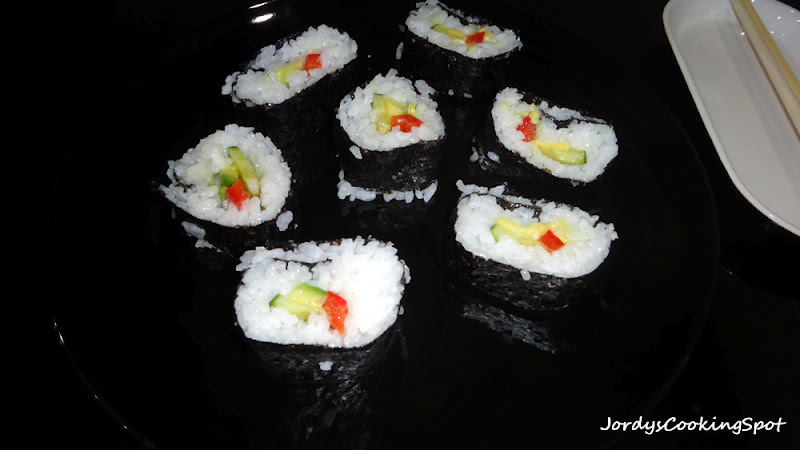 I really hope you enjoyed this recipe and if your a sushi addict like me, you might be able to use this to help satisfy your cravings without having to go out and spend more money because it all adds up.